I feel that behind the scenes at Dior these past months must be the exact opposite of this show, chaotic - busy and complicated. 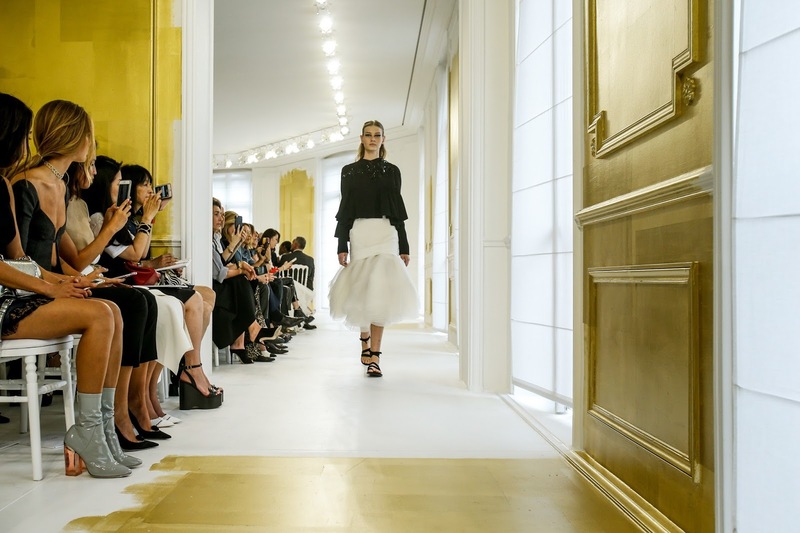 It was only recently that Raf Simons announced is rational and shock departure from Dior, leaving understudies (so to speak), Lucie Meier and Serge Ruffieux, to do a very important job and the pressure must have been very heavy. 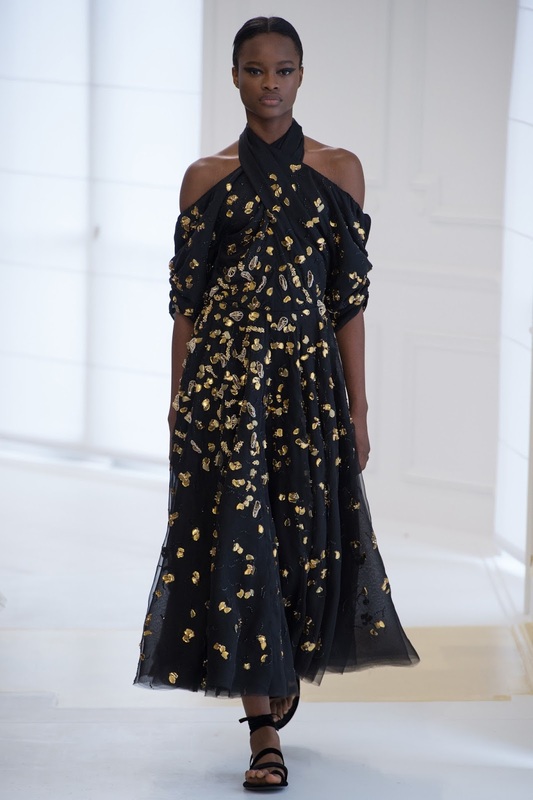 It was very important for the pair to use their creative uniqueness and talent to follow the footsteps of Simons but to also divert from the usualness and create something perhaps slightly different whilst still carrying the tradition of Dior. 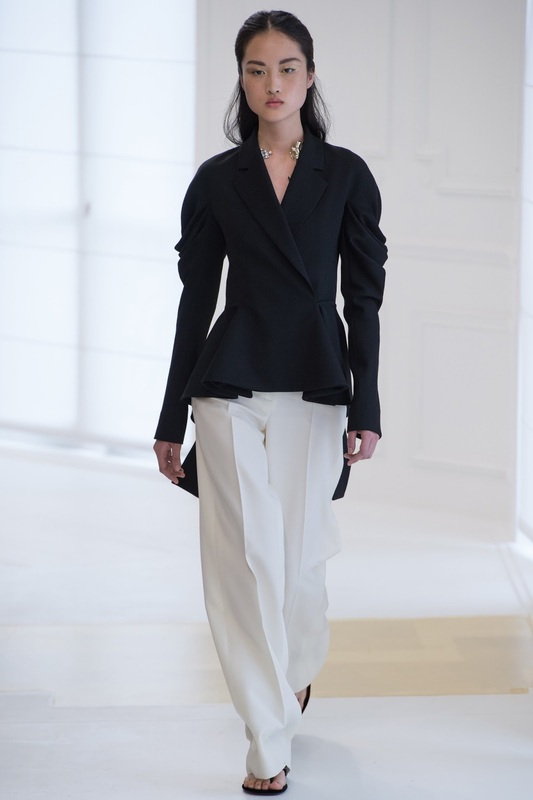 This particular Couture collection delivered something that the modern woman wants. Relaxed, soft but extremely high couture. 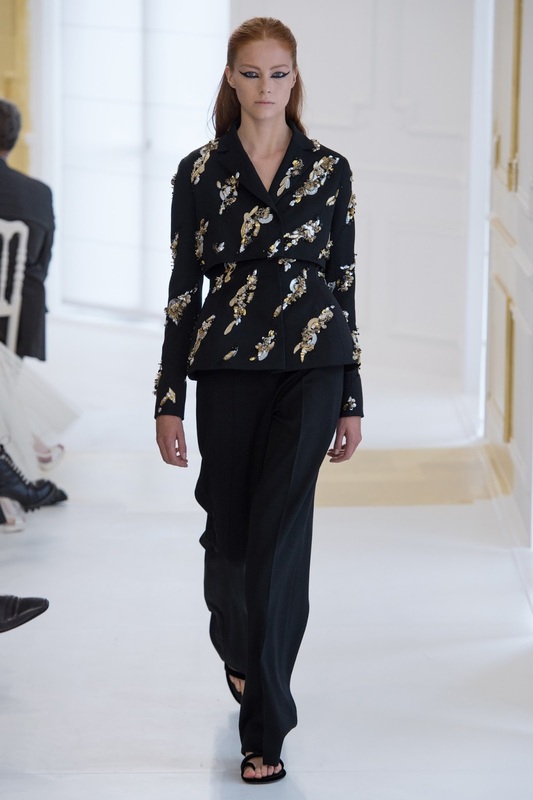 One of my favourite fashion journalists, Sarah Mower said that the collection was slightly based on 1947 Christian Dior's New Look bar jackets, corseting, petticoats and crinolined skirts. It came across to me that the collection was to emphasis the couture back of house talents such as designing, creating and making. 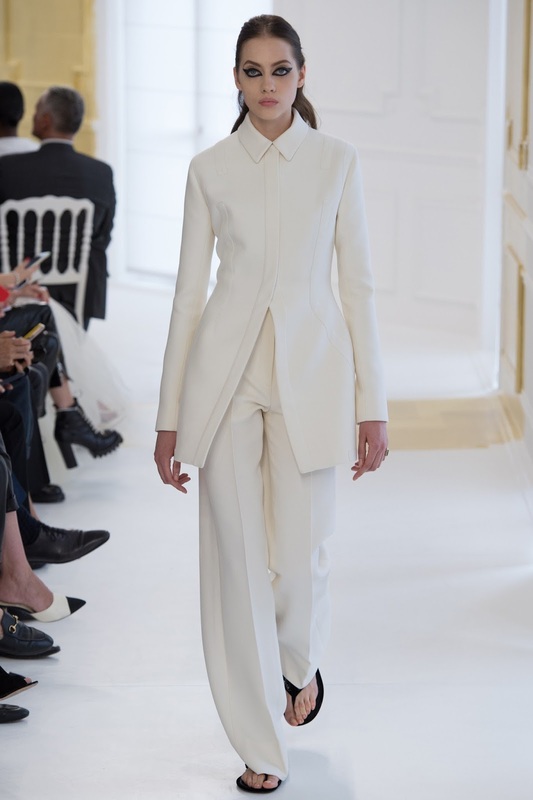 I feel that regardless of the collections, Dior always project this. 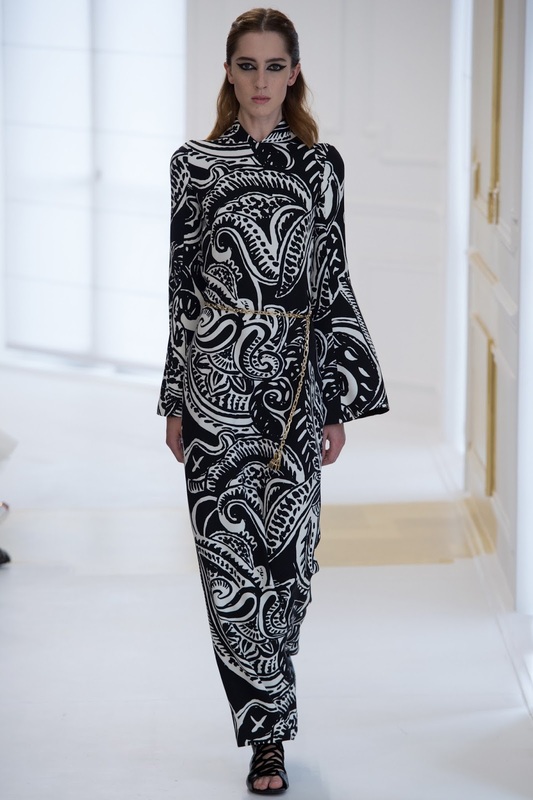 The lack of colour palette and monochrome feel is particularly interesting because that also encouraged our attention to really appreciate and admire the work that really does go into Couture work. 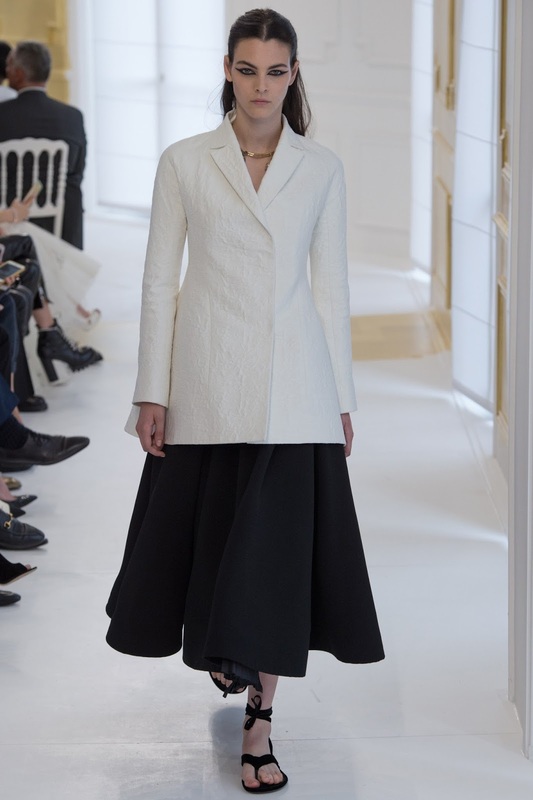 The work of the Dior ateliers is particularly fantastic, due to the coming and going of designers and the communication in the atelier must be amazing so that is also good, as a fashion lover, to really appreciate the back story behind the clothes. 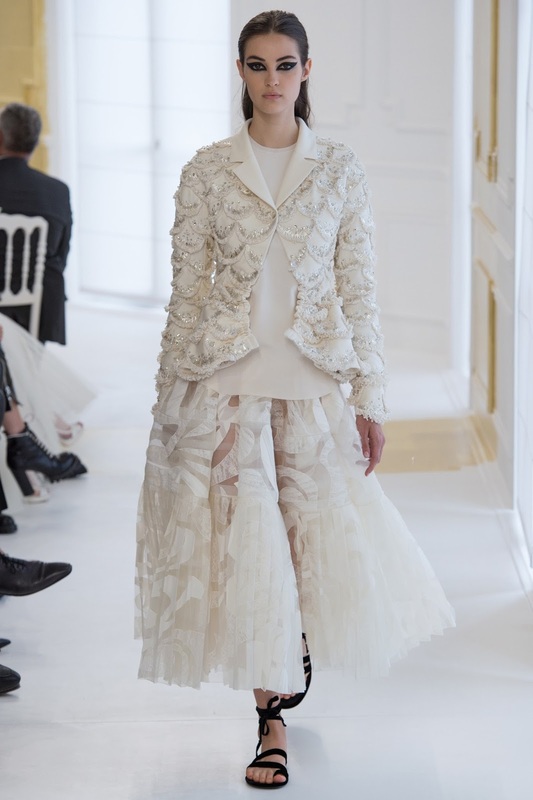 The designer's collection was criticised saying that perhaps the collection was very casual rather than being classic dior couture, with unfitting skirts and jackets teamed with gladiatorial sandals. But one must remember these designers have little experience in comparison to Raf Simons and I personally think they did extremely well. 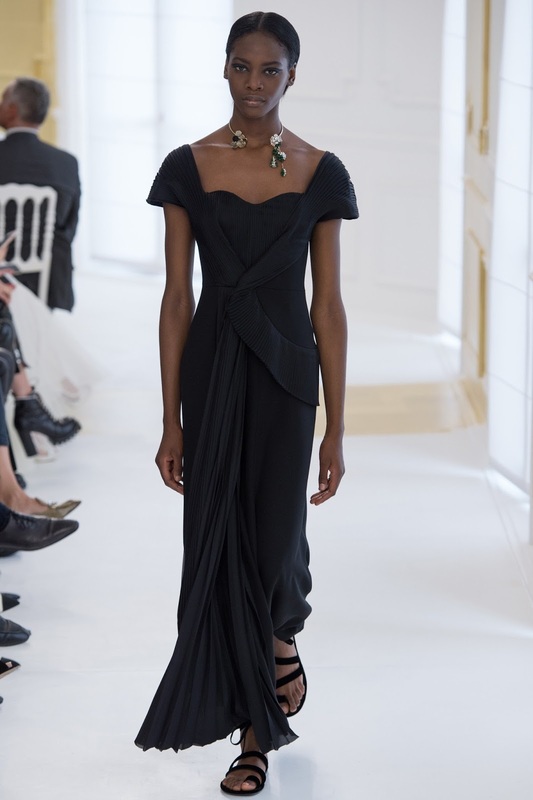 I feel that for a couture collection, the house needs to appoint a creative director and designer who understands both couture and the label itself. It's been rumoured that the label is going to announce such a person very soon.... I for one am very excited.